Case Study 1: The Toledo Zoo turns to Kuhlman with a real bear of a project. Case Study 2: Assisting wall contractor pays off over the years. Case Study 3: Concrete gets designer treatments at Everything Concrete, Inc.
Case Study 4: Kuhlman helps Bureau Concrete tackle the big jobs. 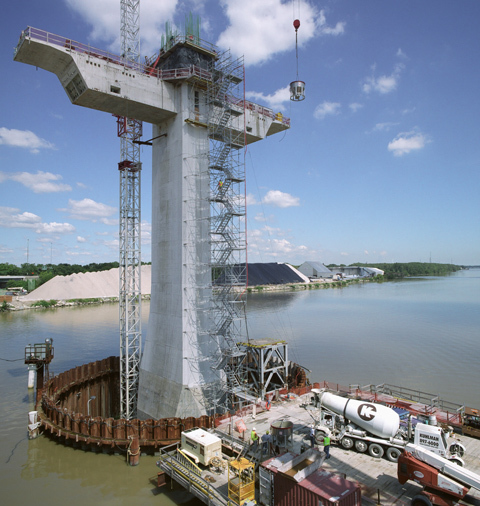 Case Study 5: Building the best bridges for future generations. Case Study 6: Count on K-Krete CDF to fill in where needed. Case Study 7: Kuhlman and Jeep: Building Toledo for the long term. Case Study 8: Extra-strong benefits are built into tilt-up structures. Case Study 9: Kuhlman thanks its customers, vendors and supporters. Case Study 10: Kuhlman Corp. teams up to build Fifth Third Field. Case Study 11: Mosser and Kuhlman span the Maumee River. Case Study 12: Kuhlman Corp. helps construct the Zoo’s AFRICA! habitat.